Brace Yourselves, A Lot Of 8-Series Beemers Are Coming! The BMW 8-Series will rival the Mercedes-Benz S-Class Coupe upon launch, with the company revealing the M8 sometime in mid-2019. Images of the flagship M8 Competition have made their way to online forums, free of disguise and show-ready. There is not even the need to guess at what car it is given that the words “The M8” are written on its number plate. The car shows off “Competition” badging on its boot lid while giving away hints to its full-blown M Division technology through the quad exhaust pipes and redesigned bumpers which are different than the M850i, the current flagship 8-Series. BMW will use the M850i’s 4.4-litre twin-turbocharged V8 to power the M8, retuned to produce somewhere around 600hp. Expect the M8 to hit the ton within 3.5 seconds. It’s not clear yet whether the M8 Competition will make the same amount of power as the M8. However, the M5 Competition makes 616hp as opposed to the bog-standard (if I dare call it that) M5’s 591-hp output. So we can expect the M8 Competition to pump out more power than its stock sibling. BMW also has a four-door 8-Series in the making with which it has the Porsche Panamera in its crosshairs. Patent images of the Coupe, Convertible, and the Gran Coupe have also made their way online. 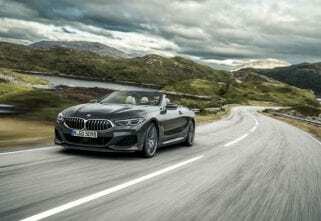 The company just unveiled the 8-Series Convertible following which it will reveal the Gran Coupe. 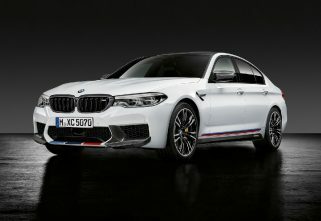 The M8 will hit the shows after the launch of the Gran Coupe, with the M8 Competition bringing up the vanguard. 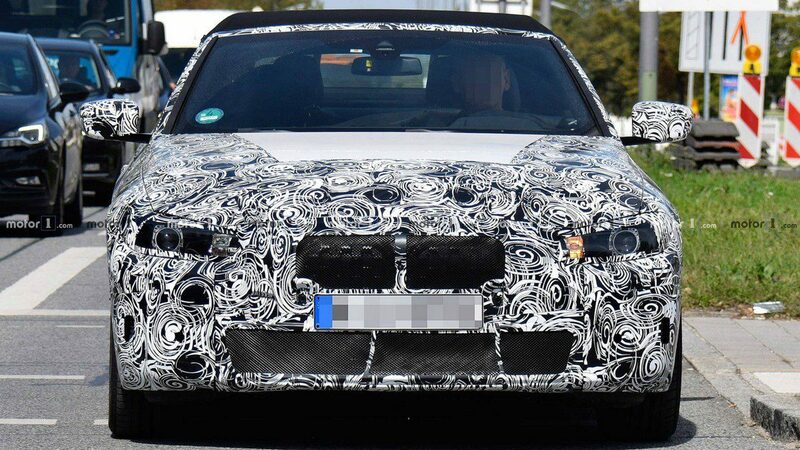 Exciting developments are underway at BMW M and we can hardly contain our excitement to witness the range of body type the 8-Series will spawn, and where they will sit in the firm’s current product lineup. The one that I am waiting to see in the flesh has to be the M8 Competition. Who would argue with that long bonnet hiding a stonking V8, and the prowess of the M Division to back it?